Valentine’s Day this year happens to be on a weekday, so for most of us it would be a working day or a day in middle of a hectic week. So we would not be able to make plans like always, but don’t worry with some arrangements and preparations we can spent a perfect Valentine’s Day at home too. The most important thing on this day is to be together with the love of your life and that you can do best being home. Thus we are here with best stay home ideas for this Valentine’s Day with which you can best celebrate your love and togetherness. There’s no better way of celebrating Valentine’s Day by pampering your partner with different delicious dishes. 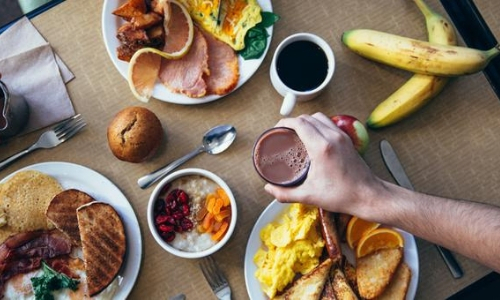 You can choose between the three meals breakfast, lunch dinner and surprise your partner. You can make heart shape pancakes; you can together make cookies with family members and have some family time together. Cake is also a good option or pizza which is an all time favourite dish of everyone. Cooking will bring you together and closer and you can spend some quality time. Candle light dinners are better arranged at home than in any restaurants. You can choose an indoor or an outdoor spot of your house and make arrangements for candle light dinner. You can make a playlist of curated love songs admired by your partner, light up some candles and have two glasses of champagne. If you are arranging this date outdoors you can use classic candle holders to arrange the candles. You can also take candles and make a heart shaped arrangement on the dinner table to make the set up more romantic. Send Valentine’s Day Gifts online to your loved ones and wish them Happy Valentine’s Day. Get creative with your culinary skills and create some special cocktails for your partner. You can make a new type of drink and give it a special name which honours both of your love and togetherness. You can make this as a new traditional of making a unique drink every year on Valentine’s Day and cherishing these special moments. 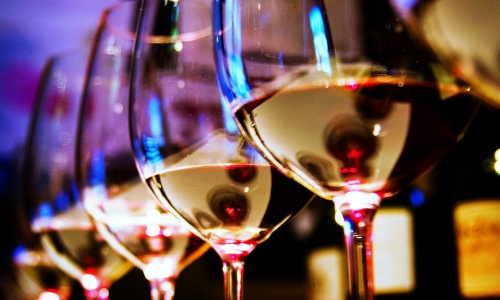 It doesn’t have to be necessarily alcoholic; it should be of the taste your soul mate will like. Thus this special cocktail will bring back unforgettable memories on various occasions like birthdays, anniversaries when you will be having it. Your partner would have gone over the top to make a surprise special to you. So it is your turn this time. 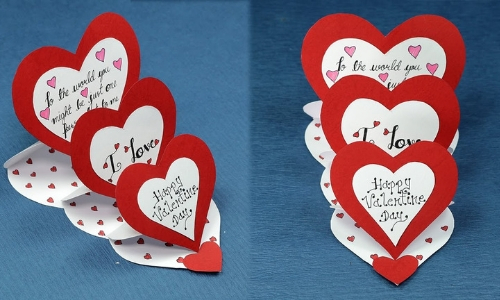 You can make a designer love card with different art and craft items. Make a heart shape love card and write inside all the happiness you wish for him and how much you him. Confess how happy you are with him and he brings out the best in you. These words of love are sure to delight your partner and these efforts of yours will take your relationship to next level. Choose an activity which excites you both like massaging, singing karaoke, playing video games or board games, cooking, dancing or making DIY show piece. You can also watch your favourite movie and spend golden moments together. Or gather pictures from each other’s childhood and make a cute collage out of it and gift each other as Valentine’s Day gift. You can also order a customized cake and celebrate your love and togetherness cutting a cake o Valentine’s Day. Your choices would be sometimes way different but you can always play video games with him and so he will watch some girly movies with you too. Picnic doesn’t have to be necessarily outdoors, you can arrange a picnic at home. Lay some bed sheets on the floors, spread blankets and lot of fluffy pillows to have a comfortable setting. Sit besides the fireplace at home to get away with this chilly winter. Pop some popcorns and order pizza to have a beautiful evening with love of your life. You can also make the snacks for the picnic together and gel over the cooking scenes. Make Valentine’s Day Flower Delivery at home while you are at office and surprise her. Unexpected things are always the best. So you can brainstorm and decide what gift your partner will admire. You can also gift her something which she is longing to buy from a long time. The gift doesn’t have to be necessarily expensive; it should be something with all your heart. Surprise gifts always impress your beloved and this in return helps your relationship to grow. You can sneak this surprise gift in the kitchen, in her closet, in the bathroom etc so whenever she will find it, it would be sheer pleasure and joy to have this wonderful Valentine’s Day surprise. 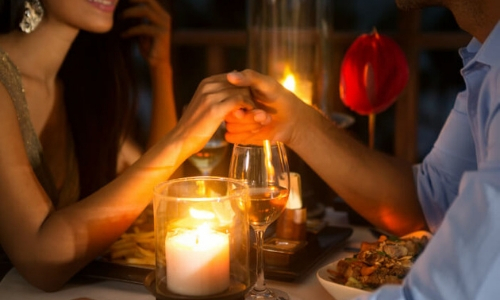 Home Valentine’s Day Dates sometimes turns more special than outdoor dates with your immense efforts and love you have for your partner.